General Hospital and other soaps as well seem to have recurring themes, among them, baby switches, evil twins, and either actual resurrections or reappearances of characters long dead or thought to be long dead! Right now, General Hospital has all three going on, an evil twin long thought dead with Ryan Chamberlain (Jon Lindstrom) and a baby switch between Nelle Benson (Chloe Lanier) and Brad Cooper (Parry Shen)! But right now, we want to know what you think about dead GH characters; should they stay dead or come back to life? 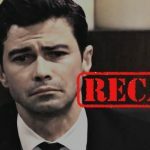 General Hospital Spoilers – Will Nikolas Cassadine And Morgan Corinthos Return? General Hospital fans seem to be divided according to the characters in question. 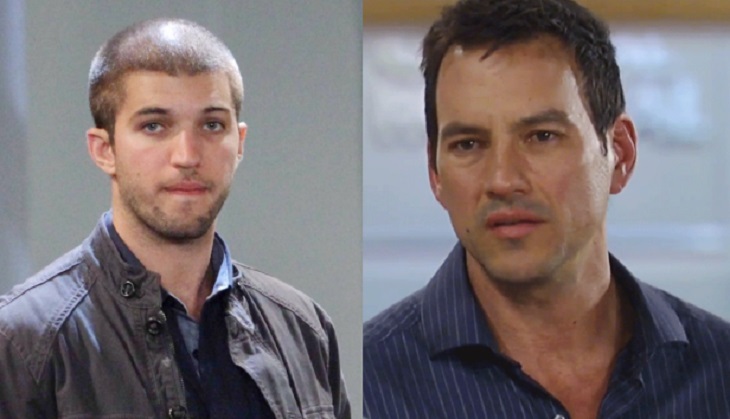 Many fans want both Nikolas Cassadine (most recently Nick Stabile) and Morgan Corinthos (Bryan Craig) to be brought back alive, and some want Nathan West (Ryan Paevey) to be resurrected as well. The original actors may or may not be available to reprise them on a long term basis, although all three could probably appear as ghosts-for long term, these characters may have to be recast, as GH did the first time Jason Morgan was found alive as Billy Miller….and then had to backtrack and make Billy’s character a previously unknown twin named Drew Cain who was no longer identical due to plastic surgeries, when Steve Burton, the original Jason wanted to come back to GH. Jason was one GH fans wanted alive…and they eventually got their wish! Other dead characters, such as Ryan Chamberlain, Helena Cassadine, (most recently Constance Towers) Olivia Jerome, (Tonja Walker) Victor Cassadine, (Thaao Penghlis) Stavros Cassadine (most recently Robert Kelker-Kelly) and Stefan Cassadine (Stephen Nichols) are characters fans are divided on, as to whether they should be or in the case of Ryan, have been revealed as alive, or actually resurrected, as Stavros and Helena. Many fans want Stefan to be alive, since he could be brought back in relation to the return of Laura Collins (Genie Francis) as could Nikolas. AJ Quartermaine (Sean Kanan) is another character who was once dead, then revealed to be alive shortly after Jason’s supposed death. Do you want dead GH characters to stay dead, or come back to life, or does your opinion vary according to which character it is? Cast a vote in our poll and let us know what you think! Should General Hospital characters stay dead? Young and the Restless (YR) Spoilers: Rey Takes Leap of Faith – Mia Worth the Risk?